GENERAL SANTOS CITY (MindaNews/05 December) — The Regional Disaster Risk Reduction and Management Council (RDRRMC) of Region 12 has raised flashflood and landslide alerts in various parts of the region due to possible heavy rains spawned by typhoon Ruby. 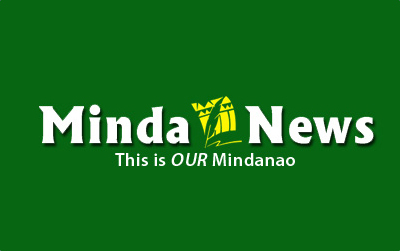 Minda Morante, Office of Civil Defense-Region 12 director, said Friday that although the region is not within the direct path of the typhoon, the area could still experience occasional heavy rains that could trigger floods and landslides. She said it could affect various vulnerable and high-risk areas in the region, specifically the critical upland and low-lying areas. 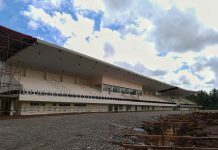 Also known as Soccsksargen, Region 12 comprises the provinces of South Cotabato, Sultan Kudarat, Sarangani and North Cotabato and the cities of General Santos, Koronadal, Tacurong, Kidapawan and Cotabato. Morante advised residents situated in the identified high-risk areas to floods and landslides to take the necessary preparations and precautions. “Let’s not wait for the calamity to happen before making any move. As early as now, we should already have our own evacuations plans and identified the safe areas to move into when needed later on,” she said in an interview over TV Patrol Socsksargen. She said residents should specifically identify evacuation centers that are not situated in low-lying areas and which they can easily access or go to. The official assured that they have laid out all the required preparations and mechanisms in case the typhoon would affect parts of the region. She said they have already alerted all provincial, city and municipal disaster risk reduction and management councils in connection with the coming typhoon. The RDRRMC held an emergency meeting here on Thursday afternoon to discuss the region’s preparations for typhoon Ruby and set the necessary strategies. As of 10 a.m. Friday, the Philippine Atmospheric, Geophysical and Astronomical Services Administration (PAGASA) said that typhoon Ruby was spotted 435 kilometers east of Borongan town in eastern Samar in the Visayas. It was packing maximum sustained winds of 215 kilometers per hour (kph) near the center and gustiness of up to 250 kph, and moving west northwest at 13 kph, the agency said. Dante Arriola, senior weatherman of the PAGASA station here, said the typhoon will not directly affect Region 12. But he said residents should brace for heavy rains and thunderstorms in the afternoon and evening that might trigger flashfloods and landslides. Meantime, the City Disaster Risk Reduction and Management Office (CDRRMO) said the entire city is currently under alert level 1 in connection with the entry of typhoon Ruby. Dr. Agripino Dacera, CDRRMO chief, said they have not lifted the area’s alert status since the onslaught a week ago of typhoon Quennie. He said all rescue units and barangay disaster teams are currently on standby and ready to respond to any incident that might occur in line with the weather disturbance.